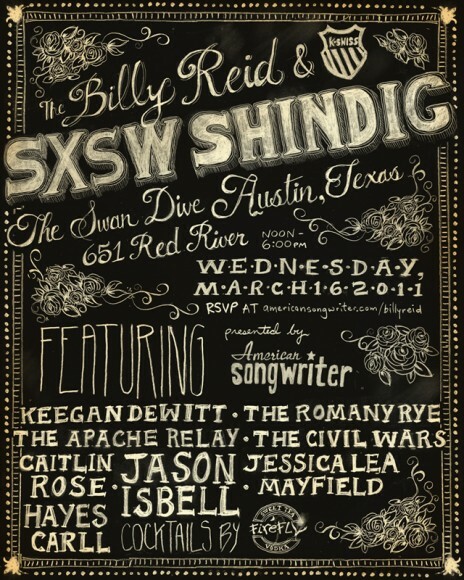 American Songwriter has announced the Billy Reid & K-Swiss SXSW Shindig. This event is free and requires an RSVP. The party takes place on Wednesday March 16th at The Swan Dive and features Jason Isbell among others. The Swan Dive – 651 Red River – Noon – 6 p.m.